The scientific and technical council on practical issues of construction of the Northern Latitudinal Railway was held in “Russian Railways”. The governor of Yamal-Nenets Autonomous Okrug Dmitry Artyukhov, the head of the Federal Agency for railway transport of the Russian Federation Vladimir Chepets, representatives of “Gazprom”, the company-concessionaire of “The Northern Latitudinal Railway”, transport scientists, specialists of “Russian Railways” participated in it. “The new route will give an additional impulse to intensive development of resources of the Arctic region and, as a result, to development and strengthening of the Russian economy. The distance will be reduced on more than 760 km, and it means decrease in the time of delivery of cargoes from extractive fields of northern regions of Western Siberia and Tyumen Oblast”, said Oleg Belozyorov, the director general and the chairman of the board of “Russian Railways”. 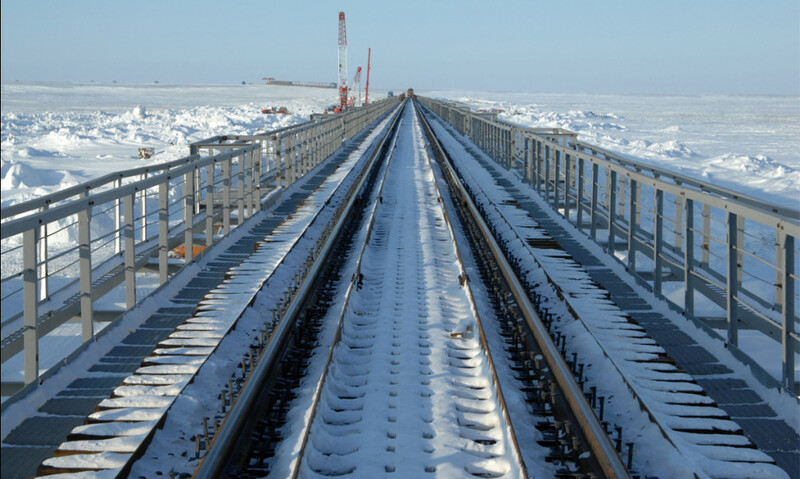 According to him, construction of the Northern Latitudinal Railway sets a number of challenges connected with special climate conditions in this region to all the sides. “Innovative materials ensuring reliable operation at low temperatures should be widely used. It is necessary to consider the long-term forecast of climate changes, because this route, I am sure, will continue operating in the next century”, said Oleg Belozyorov. “The Northern Latitudinal Railway is undoubtedly one of the key projects for strategic development of the Arctic zone. Participation of the Russian Federation in it is an indicator of nationwide significance. The government of the region provides comprehensive support for providing of lands necessary for construction of the Northern Latitudinal Railway, for receiving permits. The region pays special attention to environmental issues. This is one of the priorities in fulfillment of the project. And the talk is not only about building technologies, but also about such things traditional and important for the North as, for example, organizing of reindeer passages all along the road”, Dmitry Artyukhov said. The participants of the council note that the Northern Latitudinal Railway optimally suits for fulfillment of minimally manned technologies. In particular, the new line should be equipped with the most modern low-maintenance systems of automation, telemechanics and communication and should be provided with reliable power supply. Special modifications of roadway machines will be developed in cooperation with machine builders for work in the Far North. The concession agreement on creation of the Northern Latitudinal Railway was signed in October of 2018. The new line will provide considerable decrease in the length of transport routes from extractive fields in northern regions of Western Siberia to ports of the Baltic, White, Barents and Kara seas. In addition, fulfillment of the project will help to solve the problem of overload of the existing southern route towards the Trans-Siberian Railway. According to “Russian Railways”, by 2025 fulfillment of the project will provide unobstructed passage of additional amounts of transportations in the amount 23 million 900 thousand tonnes per year.